With Memorial Day just around the corner, I though some watermelon shaped cookies could be a perfect kick-off for summer! This simple design would be the perfect addition to any BBQ or summer picnic. Prepare cookie dough, the recipe I use is HERE. Roll out the dough and cut out circle shapes using a large circle cutter. Cut circles in half, using a knife. 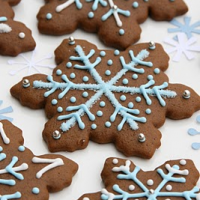 *Now bake your cookies, and prepare royal icing The royal icing recipe I use is HERE. For these cookies I prepared 1 bag of medium consistency green- with a #3 sized tip, one bag of medium consistency white- with a number #2 tip, one bag of stiff/outline consistency red icing- with a #1.5 or #2 tip, and one bag of flood consistency in red- with a #2 tip. 3. Once your cookies are baked and cooled (this can be done a day, or a couple days before you decorate), follow the curved edge of the cookie with green icing. 4. In this photo I added some darker coloring to the green ‘rind’, by mixing some green gel food coloring and clear alcohol (clear vanilla extract, or vodka), and applying some color using a paint brush. If you plan to do this step, the green icing needs to be dry (this may take 2-4 hours). If you don’t care to add the extra coloring to the rind, continue on as shown below. 5. When the green ‘rind’ icing has set a bit (30 minutes), add a line of white icing. 6. When the white line has set (again, about 30 minutes), outline the ‘fruit’ edge with red (stiff consistency) icing. 7. Fill in each watermelon slice with red (flood consistency) icing. 8. While the red icing is still wet, I added some (dark brown) chocolate covered sunflower seeds. If you can’t find these, you could wait until the red dries a bit, and add the look of “seeds” using black icing. You could also wait until the red icing if fully dry (about 12 hours), and use a black food marker to add the “seeds”. Then sit back and enjoy a slice of summer! I’m adding this post to Tidy Mom’s- I’m Lovin It Friday post. LOL, we finally had the same idea at the same time! I LOVE these! I love it when you cookie! They are so beautiful! I'm so impressed! I just showed them to my kids too and they were equally impressed! I would love to have you volunteer! these are the bee's knees….well actually the whole bee's legs. I would pay big $$ for those at a bake sale for sure! These are super cute! I love how bright and cheerful they are and watermelon is one of our families most favorite fruit! I love your tutorial. I am definitely going to try these. Thanks so much. I love the sunflower seed idea and I love them too! Thanks for the tutorial on these cute cookies. Great idea to use the choc. covered sunflower seeds! I love the sunflower seeds! And this might be the cutest thing I've seen all day!!! Simple, classic and beautiful. always! Oh and don't forget yummy! I love these, Glory! I also adore the clever innovation of how you got the bites out of the cookies. These are darling and I love the colours. Adorable! Those are extremely cute! Summer is here! 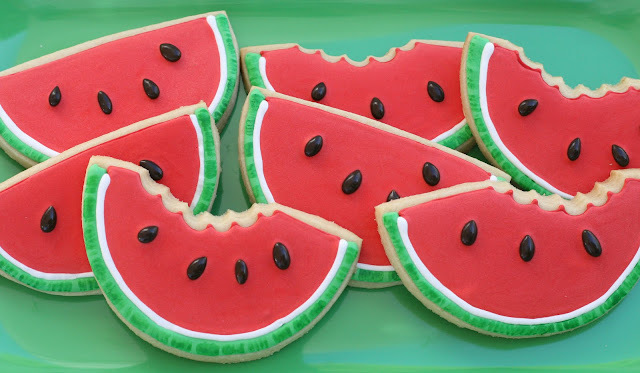 Thanks Glory…now I have to go get some watermelon! These are fabulous! I love these. Great tutorial and thanks for sharing! 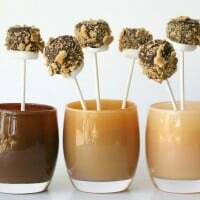 These are adorable and pretty easy. I was wondering why people use royal icing to decorate cookies. it is soooo hard and doesn't taste so good. I use a poured cookie icing that dries firm enough to stack but is very edible. 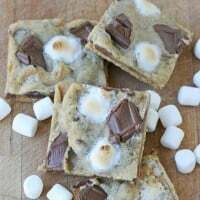 Another innovative and completely gorgeous cookie creation! You've made it feel like summer here in dreary, cold Melbourne. Sharon- I guess it comes down to personal preferance… I like the taste of royal icing! And the royal icing is not super hard on top of a nice moist cookie, like my sugar cookies. What a perfect slice of summer. I love these. Cute! Cute!! Cute! 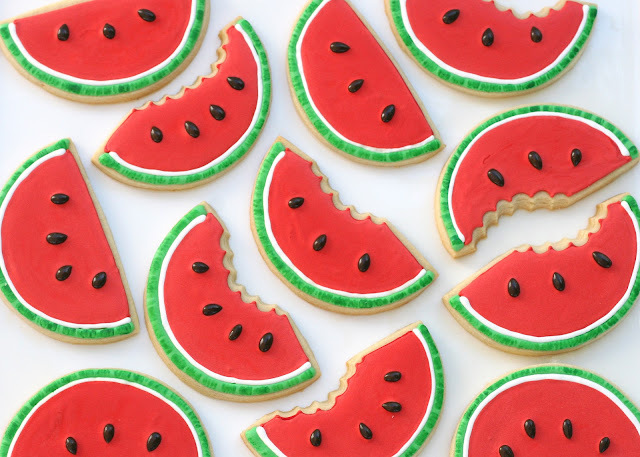 Perfect for a summer treat! I just found your blog and ADORE it! Your work is breathtaking! Adorable! Such a cute idea!! I am loving these! I want to give them a go. Thank you for sharing!! Adorable! And I love those bite marks! 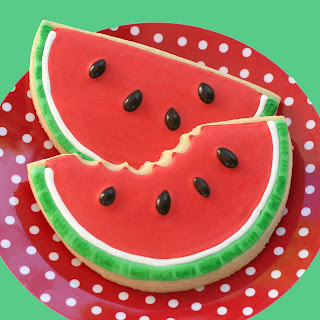 So easy to make without a watermelon cookie cutter! Thanks! LOVE these! I linked back to you in my Friday Faves today. Thanks for sharing! Glory these are undeniably amazing! 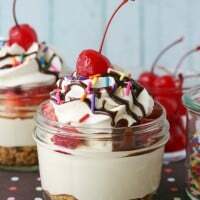 Ah, I am just catching up on everyone's blogs from the Twinery DT and I am drooling over all your fabulous creations! I think these just shout Summer. I made some a few posts ago and already want to make more. You cant help but smile when you eat one of these cookies. Yours are terrific! Want to see mine?? Come on over! You are so talented! I love these cookies. I found your blog about three weeks ago, and am checking it daily, including your archives! I LOVE your baking ideas, they are fabulous and inspiring. Until I looked at your decorated biscuits, I thought mine were good – yours are unbelievable! These couldn’t be any cuter!!! Which americolor gels did you use?